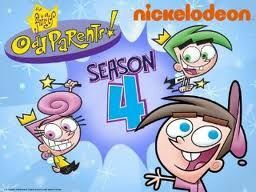 You will Watch The Fairly OddParents Season 5 Episode 7 online for free episodes with HQ / high quality. Stream cartoons The Fairly OddParents Episode 58 Escape From Unwish Island / The Gland Plan. Escape From Unwish Island – Imaginary Gary and Timmy’s Unwishes return to get Timmy’s parents, Timmy’s friends and Timmy’s back-up friends. Timmy, Cosmo and Wanda go to the rescue Timmy’s parents and friends from Imaginary Gary. The Gland Plan – Cosmo’s magic gland is on the fritz and he needs to get a donation from Anti-Cosmo. Vicky’s Head Gag: Vicky’s head and Cosmo’s head switches.